Wall sconce in tortoised leather crackle finish with stained silver leaf accents. Hand-blown glass. 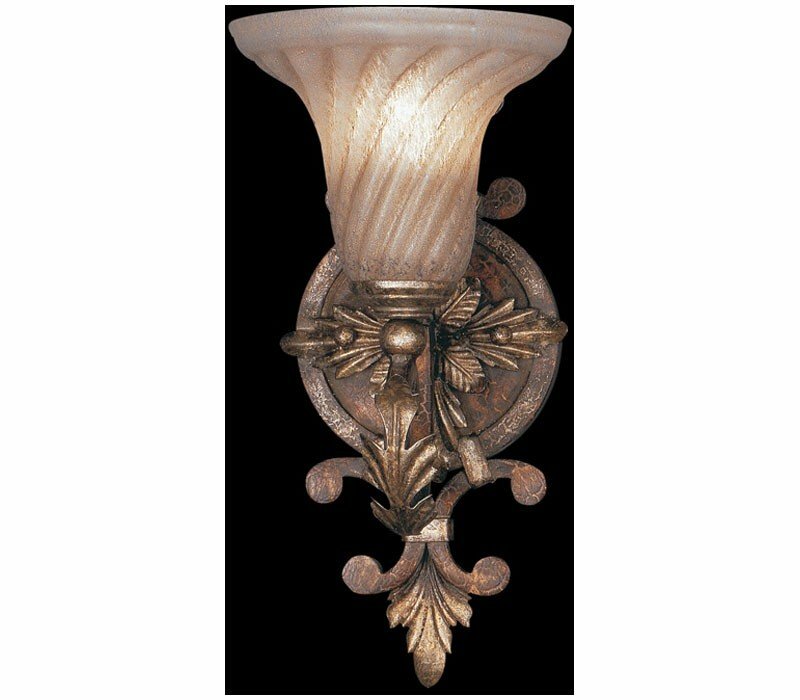 The Fine Art Lamps 175150 Stile Bellagio collection Sconce Wall Lighting in Tortoised Leather Crackle with Stained Silver Leaf uses Incandescent light output and brings Antique style. This item is 15.5"H x 4.5"W x 9"D. The total wattage is 60 and the voltage is 120 volts. The Fine Art Lamps 175150 requires 1 bulb (not included). 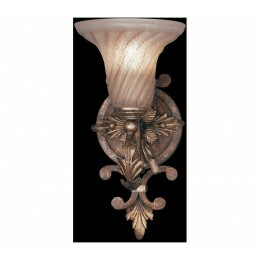 Additional Information: Shade-Hand-Blown Textured Glass.